Any attempt to reconcile the welter of conflicting points of view in the field of mental disorders and at the same time to maintain an attitude of objectivity conforming to the general precepts of science is welcome. This book is such an attempt. 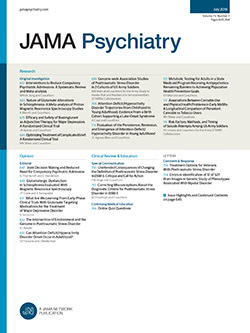 Its broad biologic approach and its adherence to scientific methodology and logic suggest that psychopathology has no need for radical departure from a systematic treatment of its data. Giving fair consideration to all contributions to the field, carefully distinguishing between objectively observable facts and theory and frankly admitting ignorance when no knowledge exists, the book is well worth while.